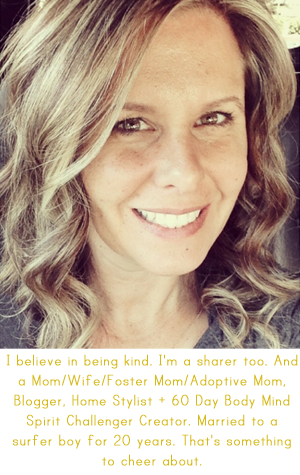 April Kennedy...My Life + My Style: Two Bits of Exciting News Today. Two Bits of Exciting News Today. 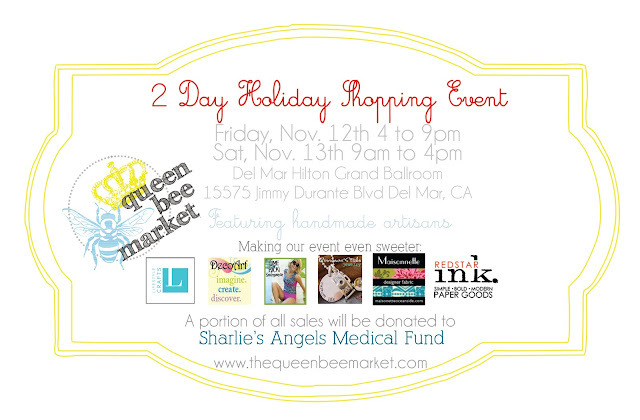 I'm going to be a vendor at The Queen Bee Market! In one month I will be attending and participating in this exciting handmade market. We are making it a road trip! Two days of pure handmade goodness = heaven. Over 50 adorable handmade vendors. In our favorite neck of the woods. Del Mar to be exact. and drove through Del Mar. It was quaint. It was cute. "I want to come back here when I can stay a little longer!" or all day on Saturday, November 13th from 9am- 4pm. I'll be there with my Funky Vintage Kitchen handmade booth! Bit two of exciting news. I received an email this morning from Jeannett over at Life Rearranged. She was delivering good news. 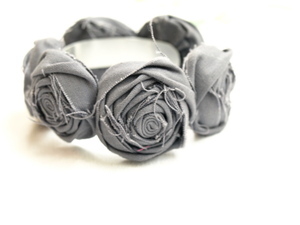 I won this beautiful bracelet from Allora Handmade. Allora Handmade will also be at The Queen Bee Market. Her and her sister, Mique, are the co-owners/creators of the event. Can't wait to meet them both in person! You should make it a road trip too! Or fly Southwest for a quicker trip. San Diego in the fall = heaven also. Talk about perfect weather! What an awesome wkd trip. Have fun and good luck! I just did a google map search and that is only like 30 mins. away from me. I'm thinking I will have to round up some friends and come visit you there! Sounds like fun! OMG!!! I love that bracelet! I was looking at those the other day! Sounds like a great time! What a beautiful win too - I love steel gray, so pretty! Since I"m husbandless that day I think I'll be loading up the stroller and kid and heading down south! Or better idea... maybe I'll get him on my way (he doesn't work allll day on Saturdays) and make him schlep all of my fabulous finds around as I shop until my hearts content! I am so excited for this event. I went to the website from Whippycake and saw that your name was on the list, then headed to your blog. I am so excited. I will come to your booth. I always love your stuff. And I cant wait to meet you.